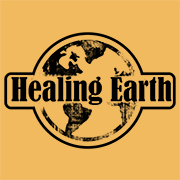 Healing Earth was started by and is run by the founding directors Patrick Mangan and Mary Queeney. Between them, they have a ministry through angel healing, IET, Reiki, counselling, personal coaching, vibrational healing, and wisdom based on their own life experiences. On offer is professional services to all life events in people’s lives, e.g. weddings, funerals, house & space clearing and individual healing work.